Wow, that amnesia was short-lived. Xiang Xiang is in therapy getting “cured” of her hallucinations. 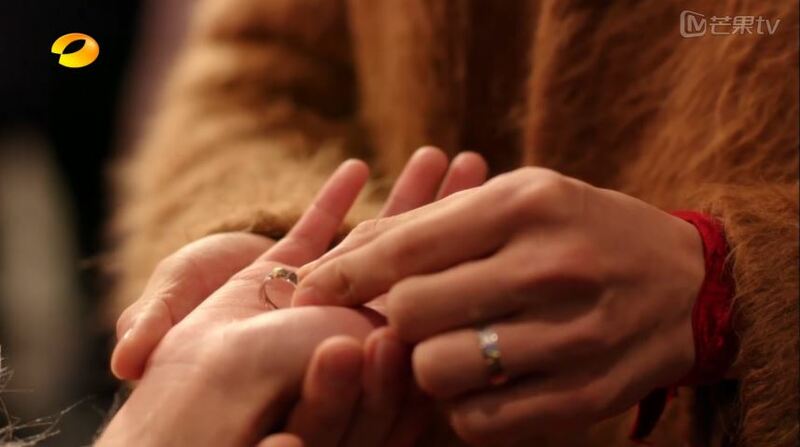 The doctor asks her to recount her memories and she tells him what he wants to hear – how she rekindled her relationship with Yu Fei during filming. The doctor explains that she must have gotten history and reality confused because she was too into her role. Xiang Xiang doesn’t really buy it because everything seems so real to her, and more importantly, she is still in love with Gong Ming! Attagirl! Wang Mang is at his dark cave…erm, I mean residence scolding Zi Xiu for acting without permission. 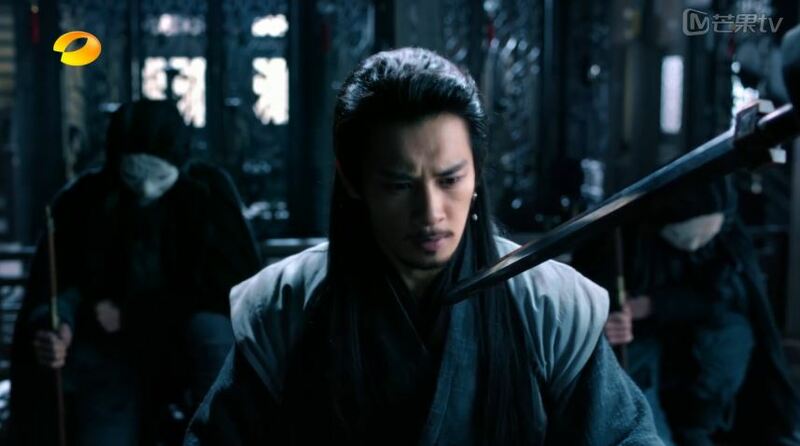 He pulls out a sword and Zi Xiu quickly reveals that Gong Ming is just amnesic, not dead. Zi Xiu tells Wang Mang about how Gong Ming vanishes whenever in danger, but Wang Mang doesn’t believe him and this is when Zi Xiu brings out the jade pendant and explains that he was only able to stab Gong Ming after the pendant broke. Speaking of Gong Ming… He stops by his teacher’s place on his way back to the palace at Ying Yue’s request because homeboy ain’t doin’ so hot. The teacher pokes fun at the two and comforts Gong Ming by saying that important memories will surely be recovered sooner or later. Gong Ming brings up marrying Ying Yue off to someone nice since she can’t hang around him forever and the teacher implies that Gong Ming should marry her! Noooooooo! At least Xiang Xiang is being faithful! She is still rejecting Yu Fei’s advances, so he calls up Jing Jie to arrange a group dinner. At the dinner, he helps to cut her steak and then brings up how they got together initially (he realized he liked her when he got jealous after she commented on how the male lead in a movie is handsome). Xiang Xiang retaliates by stuffing a tomato into his mouth to stop him from talking. Jing Jie, Xiao Nan and Tian Xiu take this opportunity to exit. After the dinner, Yu Fei accompanies Xiang Xiang home. She purposely puts her hands behind her back so he can’t hold them. To solve this problem, Yu Fei knocks on some dude’s door and then grab her hand to run away. He asks to start over again, promising to refill all of her memories. 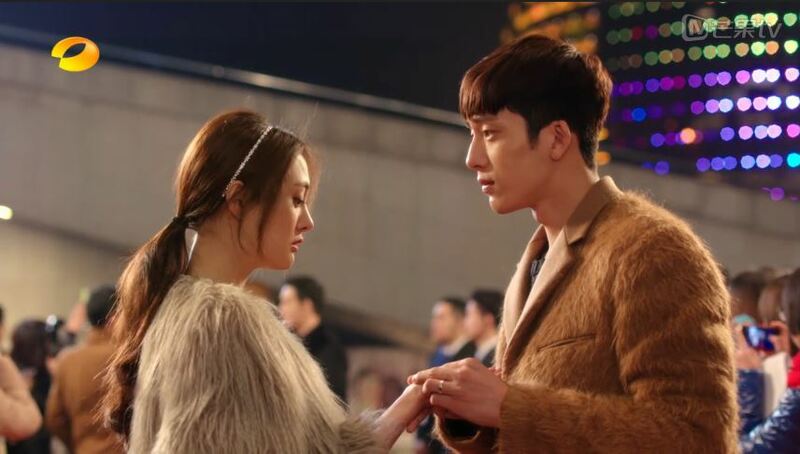 Back in the B.C., Gong Ming asks Ying Yue if she is willing to be with him and she asks for time to think it over because she is afraid he will regret it once his memories come back. So I’m sitting here wondering why Gong Ming doesn’t ask about his short hair cut and finally he is sensing something is off! He asks Ying Yue how long has it been since his memory loss. After learning that it’s been a month, he tells her that he feels like he forgot something really important. Meanwhile, Xiang Xiang decides to ditch Yu Fei one last time to go stand on the bridge in anticipation of Gong Ming’s return. At the same time, Gong Ming also goes to the bridge, but don’t be mistaken – he is still in 16 B.C. He turns around, and so does Xiang Xiang. It’s like they are looking at each other but not at the same time. 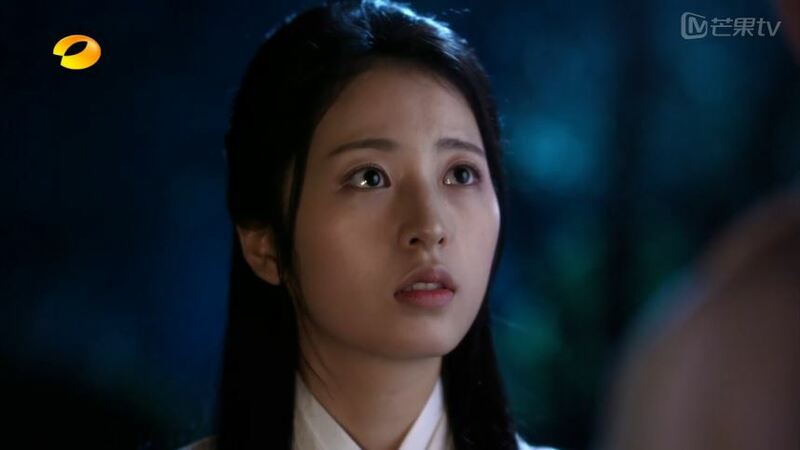 Gong Ming asks Ying Yue if she saw anyone at the bridge and she wonders if he is waiting for someone. 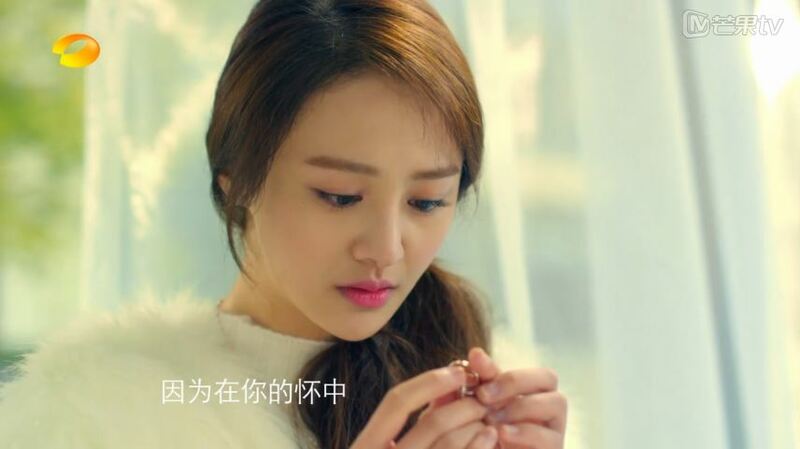 After confirming no one was around, Ying Yue confesses that she accepts his proposal even though she feels that she is not good enough for him. 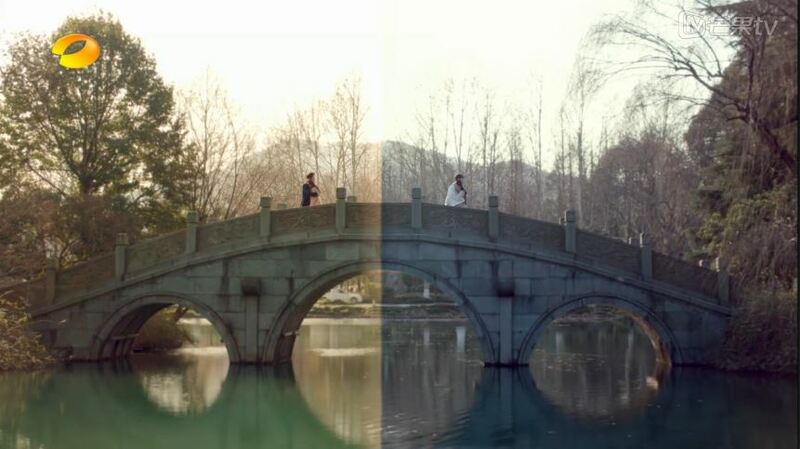 In 2015, Yu Fei finds Xiang Xiang completely heartbroken on the bridge. He comforts her and asks her to forget Gong Ming because he never existed. argh. ya’ll be hugging the wrong folks! Gong Ming visits Empress Xu to tell her that she is about to be reinstalled on the throne. She sends all her servants away and brings up the night of the assassination. Gong Ming doesn’t remember this, but the mention of what happened that day jolts his memory and he finally sees a flashback of Xiang Xiang! He tries to think of who she is, but fails. Meanwhile Xiang Xiang is beginning to lose her memory of Gong Ming beginning with the way he looks. Uh-oh. Yu Fei gifts Xiang Xiang a fancy necklace in replacement of Gong Ming’s ring that she currently wears on her neck. He suggests that they go public with their relationship and Xiang Xiang reluctantly agrees. Yu Fei and Xiang Xiang arrive at some award ceremony together. While Yu Fei is busy chatting with reporters and adoring fans, Xiang Xiang suddenly sees Gong Ming in the crowd! He walks up to her and puts her ring in her palm; he is also wearing his ring!!! did she toss it out? how did he get it? Haven’t had enough? Click for episode 11 recap! Wang Mang sarcastically comments that he didn’t know Zi Xiu’s swordsmanship is so good that instead of killing someone it can make someone fall into amnesia. LOLLLLL. Jing Jie totally embarrasses herself during an outing with Xiao Nan and Tian Xiu. She drunk dials someone and then kisses and vomits all over Tian Xiu while her mascara runs all over her face. Probably not how you want to impress someone! 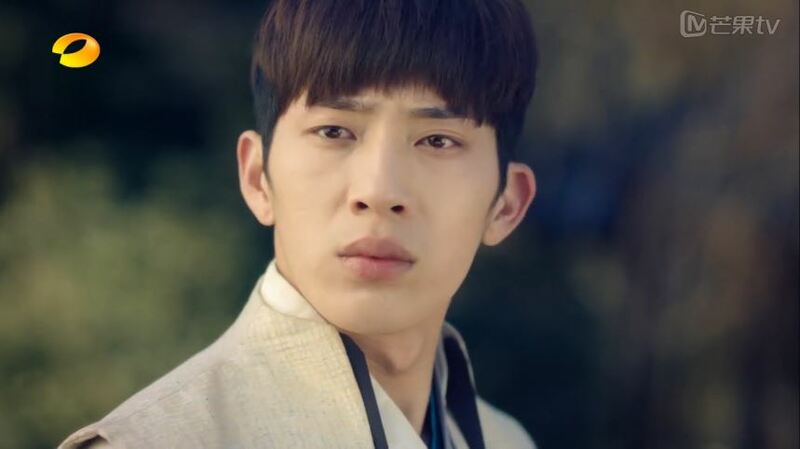 Gong Ming keeps on using modern words such as the phoenix throne when referring to the empress’ place and Taurus when explaining his stubborness. Wang Mang and Zi Xiu figure out the secret to the jade pendant. Jing Jie and Xiao Nan launch into an argument again. At one point Xiao Nan tells Jing Jie that she is so fat that he can’t even see her full image.